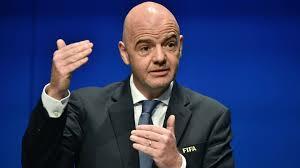 FIFA President, Gianni Infantino has unveil that he will contestfor second term to rule world football’s governing body. The 48-year-old said on Wednesday that he would be the presidential candidate for June’s vote. The Swiss has been in charge of FIFA since February 2016.